After creating an account for your company, you set up user login accounts as needed for your staff. $14.95 per month per personnel user login account. User login accounts for U.S. military veterans are FREE – see details below. The first 30 days from your account creation date are FREE. Every company staff member using TimeDirect will require a login account. Login accounts may include rights for time and expense entry, approvals, system administration, admin reporting, and expense processing. One user account can have any combination of these rights. There are no additional charges for add-ons, modules, or apps. You get it all. The Job Document Storage feature is billed at $20 per month per 100MB or any part thereof in excess of first the 200MB. We bill on the 1st of each month for the prior month of service. We monitor the number of users in your database throughout the month to determine an average number for billing purposes. 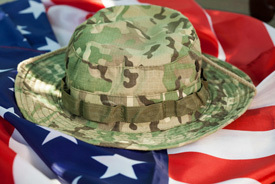 THE TIMEDIRECT LOGIN ACCOUNTS ARE FREE FOR ALL U.S. MILITARY VETERANS! As a special thanks to our service men and women, to businesses employing veterans, and to veteran owned companies, TimeDirect personnel login accounts created within the service for a veteran of any branch of the United States armed forces will be free of charge! For example, if you have 10 staff members with a TimeDirect login, and 4 are U.S. military veterans, you will only be charged for 6 logins. During the sign up process, or when you create a new user account, we will ask if the new account is for a veteran staff member. If you have any questions, please contact us to discuss any special situation.